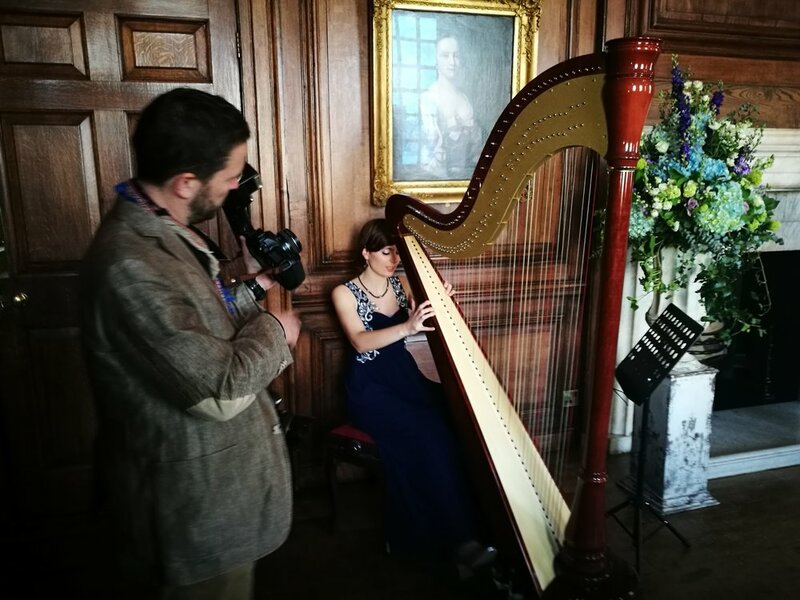 Last week our Harpist Noemi performed in the Beutiful Royal Naval College in greenwich for Henrietta's Wedding. Noemi provided music for the wedding ceremony and drinks reception. She played Pachelbel's Canon in D as entrance music for the bride and Gavotte by Carlos Salzedo as exit music to the wedding ceremony. During the drinks reception the harp provided a perfect sophisticated atmosphere whilst the wedding guests talked, had some drinks and listen to the live music. A huge congratulations to Henrietta and her Husband on their special day.